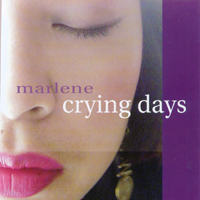 Marlene's debut album, "Crying Days", features a rocking rhythm section in this fully produced 11-tune album. It is a collection of mostly original pop/jazz/r&b funked-up tunes, which features soulful melodies in rich layers of harmony. This is intelligent pop with a really tight groove. Marlene is on vocals and keyboards. Click on above link to listen or buy CD! Or to download individual tunes, visit Itunes or Rhapsody or other legal music sites. 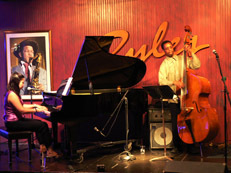 Marlene LIVE With a Little Help From Her Friends (2008), was recorded in Lilypad, Cambridge. 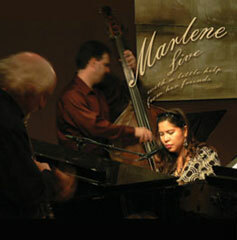 Marlene's new CD is a collection of jazz standards and originals performed by her stellar 5-piece ensemble. Marlene on vocals and piano is joined by New England's premier musicians, Greg Hopkins on trumpet (formerly Buddy Rich Orchestra and has played with Ella Fitzgerald, Dizzie Gillespie and other legends), Patrick Mottaz on guitar, Dave Landoni on acoustic bass and Brooke Sofferman on drums.